The U.S. Federal Aviation Administration’s policy regarding the commercial use of drones, based on a 2007 policy statement, “cannot be considered as establishing a rule or enforceable regulation,” an administrative law judge ruled Thursday. As the classification of UAS (unmanned aircraft system), popularly known as drones, does not appear in the Federal Aviation Regulations, it is necessary to examine the FAA policy for the existence of a rule imposing regulatory authority concerning UAS operations, the Judge wrote. Raphael Pirker was fined $10,000 by the FAA in October 2011 for flying recklessly a powered glider aircraft in the vicinity of the University of Virginia at Charlottesville, Virginia. He was said to have been engaged to supply aerial photographs and video of the university campus and medical center for a compensation. The aircraft was described as an UAS which was challenged by Pirker who held that it was a model aircraft. The judge ruled on Thursday that at the time Pirker used his model aircraft, there was no enforceable FAA rule or FAR regulation, applicable to model aircraft or for classifying model aircraft as an UAS. 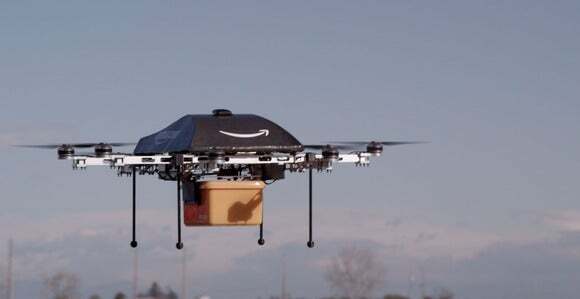 A number of companies including online retailer Amazon.com have said that they are planning to use drones commercially. Amazon’s Prime Air service, powered by drones, will be ready from a technology point of view to enter commercial operations to deliver packages as soon as the necessary regulations are in place, the company said in December. The retailer said its plans will depend on rules for civilian unmanned aircraft from the FAA, which it expects by 2015. The FAA indicated last year that the development and implementation of operational and certification requirements for the operation of public unmanned aircraft systems in the national airspace system is planned for not later than Dec. 31, 2015. It also released a roadmap for the integration of civil unmanned aircraft systems in the national airspace.